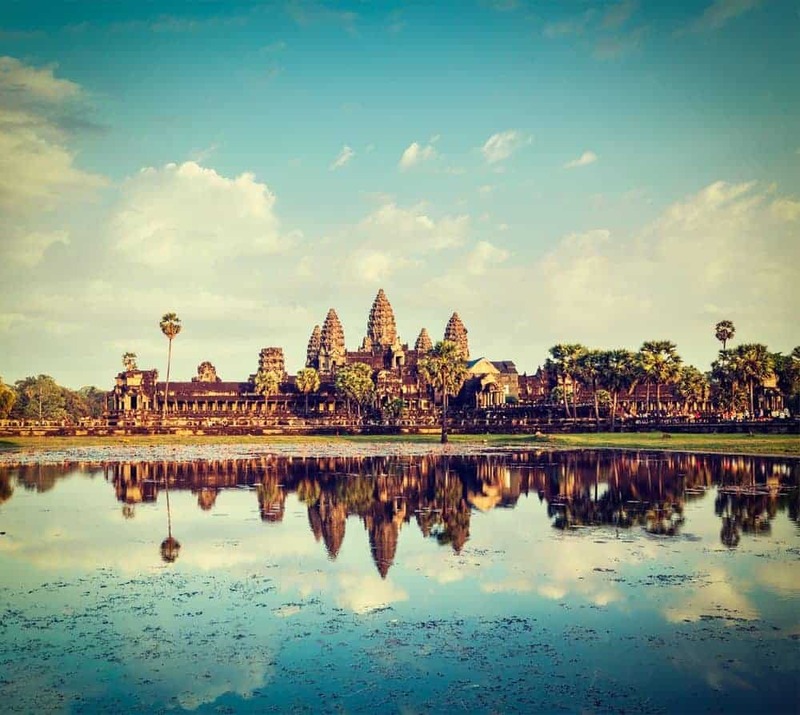 Base yourself out of Cambodia’s Temple Town, Siem Reap, to begin your explorations of the massive Angkor Wat temple area. This ancient Buddhist temple is the largest in the world which has a deep history dating back to the 12th century. Angkor Wat is only one of about 50 temples scattered across 155 square miles. The ruins fight the onslaught of jungle occupation, in recent years–thanks to the fall of Pol Pot and the Khmer Rouge–refurbishing temples to a visitable state has included land mine eradication in parallel to rapid development in Siem Reap to host in the influx of tour groups. After taking a tour of the temple, explore the surrounding jungle and the sacred River of a Thousand Lingas. While most Hawaii beaches have endless stretches of sand and palm trees, none can compare to the secluded Secret Beach on Kauai. Hike downhill through the natural bushes can cascading waterfalls to reach the 3,ooo foot stretch of sand. Whale watch or observe the Kilauea Lighthouse from, the shores or by kayak. Located in the Wuyishan Mountain range, this Chinese city has been recognized for both its cultural influences and beautiful surroundings. After enjoying some local rock tea, venture through 36 different mountain peaks. Hike through the one-of-a-kind rainforests in the nature reserve or explore the subtropical forests, which contain thousands of different plant and animal species. Known for its black sand beaches and white cliff-side buildings, Santorini mesmerizes as if you were in a dream landscape. You can take a walking tour of the rocky cliffs or enjoy water sports in the Amoundi Bay. Indulge Greek cuisine and sip the national drink Ouzo as you absorb the atmosphere found only within Greek borders. The Rock Islands are well-known for being mostly untouched and uninhabited, making them the perfect spot for outdoor adventures. Jellyfish Lake is an ocean-connected lake surrounded by limestone c1nd reef. Populated by rare Moon and Golden jellyfish, this secluded lake is perfect for snorkeling and scuba diving. Head to the world’s foremost nomadic city known for it’s hedonism as well as it’s art. Black Rock City, Nevada–better known in the collective consciousness as Burning Man is a must visit destination for any well traveled soul. From unimaginable art to the the upturning of social reality, when you leave Black Rock City, don’t be surprised if you feel like you’ve just returned from another planet. Don’t let the entry fee or the hardship stop from this journey because, until Elon Musk or another Space X like venture makes extraterrestrial visitations achievable, going to Black Rock City and Burning Man will remain the world’s cheapest ticket to another planet. Enjoy the tranquil views of the rocky coastlines on this calm Canadian island before taking advantage of the large waves and extreme tides. Whether you want to see some puffins or whales via kayak or surf Lawrencetown Beach, you’ll find the extreme water sports you seek in Nova Scotia. One of the most iconic activities in Venice is a Gondola ride and serenade. Very few people realize that the city waterways are perfect for kayaking. When you are done touring the historic city by boat, venture to the nearby island farms and vineyards for some of the best Italian cuisine in the area. For the lowdown on Italian coffee check out The Origins of Italian Coffee Culture. Step back in time when you visit this intact walled city bordering the Adriatic Sea. This World Heritage site isn’t just home to unique architecture and historic buildings; it is also home to some of the most unique beaches in the world. Kayak or sail to nearby (only 10 minutes from Dubrovnik) Lokrum Island to swim in the Dead Sea or marvel all the exotic plants. Hong Kong may be one of the world’s most packed metropolis’s but within a convenient ferry float away you can access a number of Hong Kong’s 263 islands. Explore former pirate hideouts and enjoy a seafood feast seaside on Lamma Island, easily accessible from the Central Piers in front of Hong Kong Island tallest building the IFC. Get your hiking poles ready if you want to traverse the island, you can check the ferry times here. For other islands you can visit from the Central Piers check here. Trincomalee is a small town filled with luxury resorts and surrounded by rocky beaches. For adventurers looking to dive in the India Ocean or spend a few days on a yacht, the tranquil environment and active wildlife conservation efforts in Trincomalee make this place an intriguing destination. Istanbul is known for its unique architecture and stunning waterways. While most tourists try to see the historic buildings by cruise, many adventurers can taking to the skies: floating around the large city in a hot air balloon. When you’ re looking to escape the city life, float over nearby Cappadocia, a natural site known for its large cone-shaped rock formations. Have you ever wanted to take a tour of an active volcano? Volcanoes National Park is home to Mauna Loa, the 2nd largest volcano on Earth and responsible for forming a large part of the Hawaiian island chain. Travel across the observatory road trail or spend a few days camping and climbing the natural lava formations. Home of the Swiss Alps, South Island attracts thousands of skiers and hikers every year. What sets Wanaka a part from the other small towns is its closeness to Mount Aspiring National Park, making it the perfect fishing spot. Sip wine and relax in a luxury lakeside hotel or set off on your own to enjoy the pristine mountains. Want to get the true Italian experience? Travel along the rugged coastline to the historical towns in Cinque Terre. These colorful cities are known for their strong ties to the Italian Riviera, offering fishing charters. After your day at sea, tour one of the many ancient vineyards located throughout the mountains, where they practice heroic viticulture–classified as vineyards at altitudes above 600 feet and on slopes of no less than 30% grade in difficult to grow conditions. Marrakesh is known for its beautiful gardens and medieval palaces surrounded by the Atlas Mountains. If you have already hiked through the Atlas Mountain range, spend a few days camping in the Sahara Desert. Ride through the sand on the back of a camel or pitch a tent in a luxurious oasis. The Great Barrier Reef is the largest stretch of protected coral reef known to man. Michaelmas Cay is well-known for its rare fish and sea bird sightings. Charter a glass-bottom catamaran or go snorkeling. The most extreme adventurers can combine their snorkeling tours with a skydiving session, where you’ll get clear views of the islands and the pristine ocean waters. This volcanic region is known for its traditional Japanese inns and hot springs. It is a favorite destination among Mount Fuji hikers looking to relax or tour the world-class art museums. 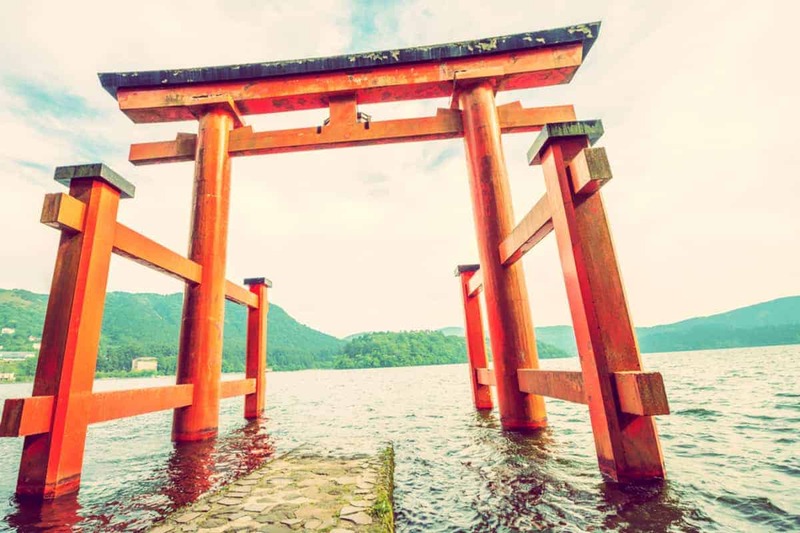 The beautiful Lake Ashi creates a picturesque environment and provides several opportunities for sightseeing cruises. Alternatively, travel along the Hakone Ropeway to get a perfect view. This vibrant city is surround by the Andes Mountains, making it perfect for urban adventurers and outdoorsmen alike. Whether you are touring the historic buildings or hiking to the El Chiflon Waterfall, you will have a rewarding experience. If you would like to bask in the unique Andes wildlife, try taking an exclusive ecotour. The largest town in the Peruvian Amazon, Iquitos can only be arrived at via boat or plane. Its border spreads from riverside to thick jungle and feels far from everything and in a different world. Known for clean skies and smiles, when you are looking for a safe place to experience an Ayahuasca Retreat you won’t go wrong in Iquitos, just make sure you do your due diligence before committing to any specific shaman and their ayahuasca ceremony. Beyond journeys involving medicine plants, you can visit Amazonian islands and experience Shipibo culture or go on a multi-day Amazon tour to view wildlife and begin to get a feel for the the mysteries enshrouded by the vast Amazon. Milford Sound is best known for the Milford Track, a 53 kilometer adventure starting at Lake Te Anau. If you would rather see the mountain peaks and suspension bridges from a distance, try navigating the river ways by kayak or charter a helicopter for a scenic flight. Sa Pa is known for its curvy roads and inconsistent weather, but it is also home to some of the most beautiful mountains in Vietnam. Situated on the border of China, this region is perfect for people looking to hike through lush, diverse landscapes. Trek or cycle by a number of orchid gardens and traditional rice terraces before settling down for the night in a remote hotel. This Swiss region has several unique attractions for the outdoor adventurer. It is home to the Berenese Alps and Lake Thum, both of which are perfect for hiking. Called by some, The Top of Europe. The Bernese Oberland is home of Europe’s highest train station (11,3302 feet above sea level), so–for you train buffs–this is the place of the most heroic train adventure at altitude in Europe. Medieval history buffs can also appreciate roaming through the many small villages, many of which have history dating back to the 12oo’s. Relax while you enjoy breathtaking scenery at this geothermal spa. One of the 25 wonders of the world, Blue Lagoon was formed by a volcanic erupt ion that created a unique landscape. For those that don’t want to soak in the saltwater, hike towards the nearby town of Grindavik to get amazing pictures of the lava beds. Natural beauty can come from any landscape, even dry and dead ones. These spiraling canyon walls reach up more than 120 feet in some areas. At some point in history, rushing water created the curves and grooves in the sandstone. Since the destination is on the Navajo Nation (i.e. sovereign Native American territory) interested travelers must take a guided tour to see the canyon. The tour guides give a great overview of the history and creation of the sacred walls. Perfect for any type of traveler and does not require any climbing or strenuous activity. Walk, bike or boat through this culinary town. Copenhagen in recent years emerged as the epicenter of Nordic haute cuisine. Scandinavian chefs have put Copenhagen on any adventurous epicure’s map with the reopening of the what for a few years was noted as the world’s top restaurant Noma, now located in the anarchist enclave known as Freetown Christiania–time will tell if the restaurant will recapture it’s former glory. There is more to Copenhagen than the food. But, start with the food and the rest will follow naturally. Malmö is a huge city known for its unique architecture and historic boardwalk. And, it’s just a short train ride–thirty minutes–from our last entry, Copenhagen. While the Western Harbour is great for swimming and sunbathing, adventurers tend to head to King’s Park for jogging or cycling. 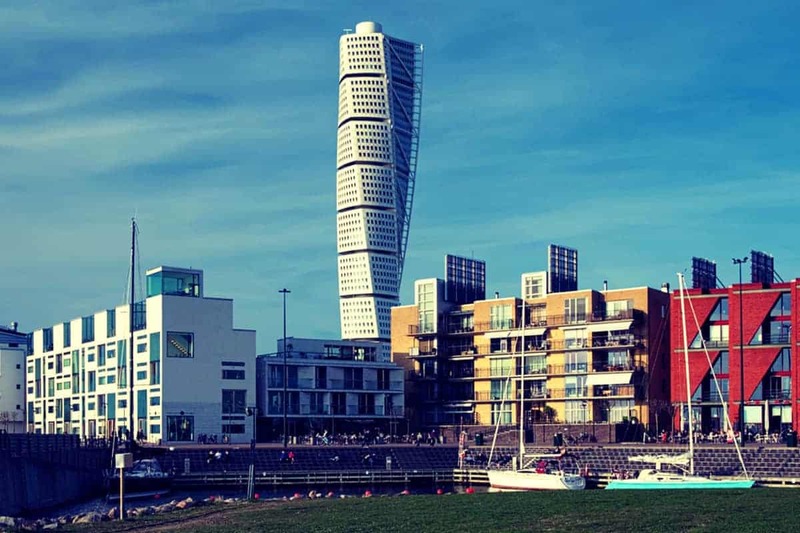 If you’re planning on backpacking through Skåne, you’ll notice the modern, urban atmosphere is much different than nearby historical Copenhagen. This isolated oasis is the perfect destination to get away from the tourists and discover natural beauty. You can take in the natural lands and fertile fields, along with vast stretches of the Sahara Desert. Set up your tent in the sand and stargaze in the darkness. Or bring your bathing suit for a dip in both hot and cool natural pools. You won’t find a better opportunity to both relax and de-stress. The oasis can be an easy day-trip from the hub of Cairo. The oasis itself is one of Egypt’s most isolated settlements, with a unique culture and very distinct language. There are plenty of other unique destinations within the oasis as well, including the Temple of the Oracle, Cleopatra’s Bath, and Fortress of Shali. It’s no secret that the Galapagos Islands are home to some of the unique animals on the planet. For Wolf Island, this is especially true, showcasing several species of rare birds, including the vampire finch. Scuba divers can also appreciate the abundance of whales, sharks and marine fish in the areas clear waters. This tropical island in Bioluminescent Bay is famous for its quiet beaches and boat tours. The water surrounding the island is a unique blue-green popular amongst local wildlife and the best place to glimpse an assortment of water creatures on a diving safari. After exploring the ocean, go for a hike through the Vieques National Wildlife Refuge to enjoy an encounter with the parks herds of wild horses. Do you want to visit a scene right out of a fairy tale? Are you ready to see the visions from your dreams? Travelers delight when they set foot in the Isle of Skye and behold the Fairy Pools. These pools in Scotland feature crystal clear waters that perfectly reflect the baby blue skies. Though the pools are completely natural, the otherworldly colors make them seem almost unnatural. This is a very popular spot for swimmers and even features perfect diving locations. The walk back to the pools is short and easy, perfect for any traveler. This site is perfect for that afternoon family picnic or evening swim. These 18 volcanic islands have a lot to offer hikers, as most of the rocky islands are untouched by man. While you could stay in the largest city, Torshavan, and travel by sea or land to different nature sites, you’ll get the best experience staying in one of the secluded villages surrounded by the sea. This destination almost seems too magical to be real, let alone natural. However, in these New Zealand caves, thousands of glow worms illuminate the walls in a mysterious and otherworldly way. The attraction is now very easy to get to, and boat tours can be taken in the cave. A visitor’s center is even set up by the entrance for information on the site and more. This site is known as worth visiting, with even locals touting the natural beauty. When you want to get a little more adventurous, you can try out one of the activity packages which include rock climbing and rafting. 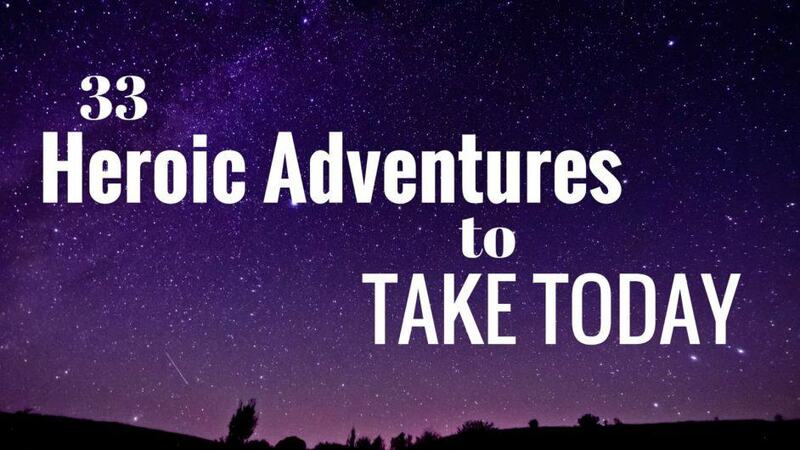 There you have it, 33 unforgettable adventures to add to your bucket list. What’s left now but to book your trip, plan your journey and bon voyage my dear adventurer.